Grenada and St Vincent & The Grenadines are the 2 countries topping the list with the highest number of recorded cases of Guillain–Barré Syndrome (GBS) in the Eastern Caribbean. 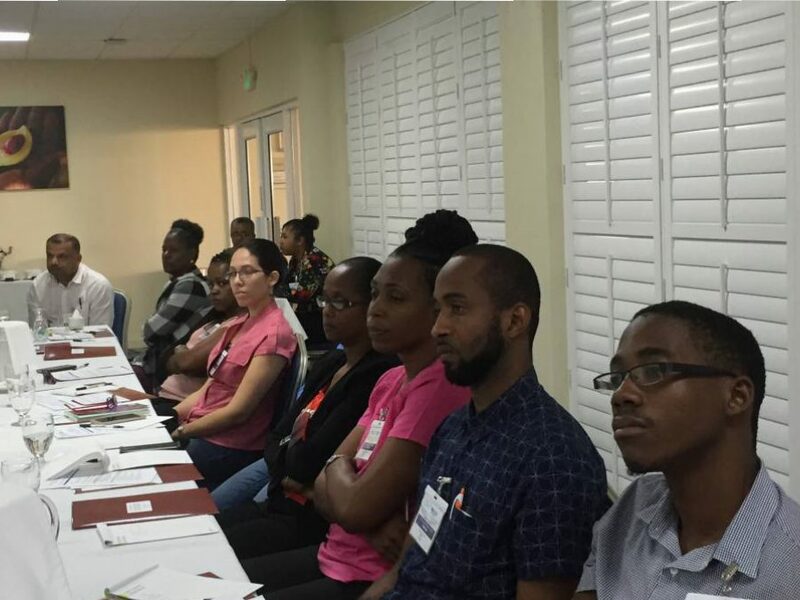 In this light, the Pan American Health Organisation (PAHO) and World Health Organisation (WHO) brought together a number of specialists from around the region for a 2–day Workshop in Grenada, towards addressing some of the neurological complications faced by persons who have contracted the Zika virus — namely GBS. The participants came from Belize, Jamaica, St Vincent & The Grenadines, Barbados, St Lucia, Guyana and Grenada. Dr Jean M Rwangabwoba, PAHOs Advisor for Disease Prevention Control and Health Surveillance, said “we know for a long time that the Zika virus infection is usually mild, but in some cases we have seen complications, and persons with GBS are unable to walk and sometimes talk. Therefore, the aim of this workshop is to help these persons return to their normal lives by having them retrained to walk and talk. GBS is caused by damage to the peripheral nervous system. According to statistics from the Ministry of Health, Grenada has a recorded number of 9 cases, most of which have received medical assistance and have recovered. Even though the number of cases may not seem to be significantly high when compared to other countries like Jamaica, Dr Rwangabwoba, noted that treatment is quite costly. “For example, to treat 1 patient, the cost can range between US$5,000 to US$6,000,” and this can put a dent in the Ministry of Health’s budget. The participants at the Workshop touched on issues such as Effective Planning and Delivery of Rehabilitation; Strategies for engaging Affected Communities in the Rehabilitation of Patients Presenting Zika-related motor deficits; WHO Guidelines for Zika Management in Pregnancy and Neonatal Care and a Plan of Action for Implementation of Rehabilitation Services. Although some countries have strong services, there are still others that are still trying to establish proper methods of handling such cases. Therefore, in this Workshop, they would like to “harmonise an approach and learn from one another so that those countries which are still behind can catch up,” said Dr Rwangabwoba. The Workshop was held at the Radisson Hotel on Monday 20 and Tuesday 21 February 2017.